Description Here you control an army of little Oons, they can be dragged together to create more powerful Oons while new ones are sent to battle. 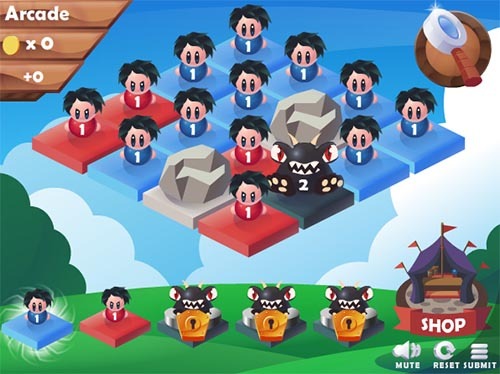 On the story mode your goal is to defeat all the monsters on every level, while on the arcade mode you have to survive for as much as you can to compete for the best highscore. More detailed instructions inside the game.